Penelope Sutherland and friends are having brunch at a local cafe, they are involved in a robbery. The group is headed north to Vermont to film a movie on the first woman in tennis.Arriving at the Vermont estate, Penny finds no cell services and other electronics. The owner and director of the movies insist that all cooking and supplies must local and environmentally safe. There twists and turns that will keep in the book. Penny has panic attacks on Vermont. Accidents occur to the tennis pro consulting on the movie. What do the robbery and panic attacks have to do with catering firm? Penny’s romance with Joey takes another step in the relationship. I highly recommend this book and series. Recipes are included. Disclosure: I received a free copy from Henery Press for an honest review.I would like to thank them for this opportunity to read and review this book.The opinions expressed are my own. 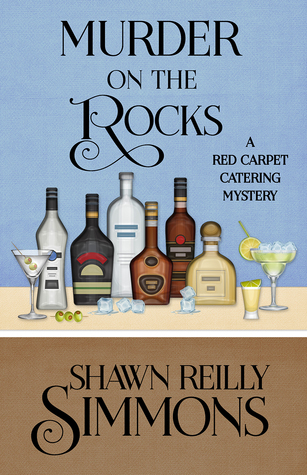 This entry was posted in #NetGalley, Books, Uncategorized and tagged cozy mystery, enviromental, Movies, Penelope, robbery, Shawn Reilly Simmons, tennis. Bookmark the permalink.